The IRIS Illuminating Eye Massager pulled at my heart strings for three reasons: one, as aforementioned, I’m totally obsessed with beauty gadgets; two, I’m totally obsessed with facial massage; three, I’m totally obsessed with the fine lines around my eyes (obsessed as in I hate them and can’t stop thinking about them!). The eyes are the first place to show signs of ageing – If I had a pound for every time I’ve mentioned that on my blog I’d be rich enough to buy every new eye cream, eye serum and eye gadget going (I wouldn’t, but it does feel like that sometimes!). So what is the IRIS? It’s a sonic eye massager, based on similar technology to the Luna. Foreo has adapted Luna’s pulsating action to create a gentle tapping one for the under eye area, mimicking the fingertip tapping method used for applying creams and serums manually. Foreo claims the device gives better results than manual eye massage. It’s designed to boost micro-blood circulation and help oxygenate skin, thereby reducing signs of any fatigue, fine lines, dark circles and puffiness. - Two massage modes: Pure and Spa. The former delivers a finger pulse action and the latter a more gentle pulse. - Shaped to fit comfortably around the eye contour – it does. 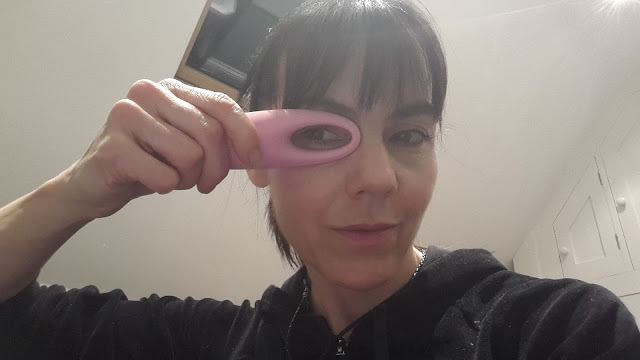 It has an opal-shaped cut out in the middle, so you can keep your eyes open while massaging if you wish (I prefer to close mine). - Built-in timer and eight different speed settings. Treatment is easy and dead quick! Simply apply a serum or cream (you can use either), place the unit over one eye and switch on. After 30 seconds you’ll hear an audible whirring sound, telling you to switch to the other eye. After a further 30 seconds you’ll hear a double whirring sound, marking the completion of treatment. The device defaults to finger pulse each time you switch it on. If you want a more gentle massage, simply press the start button again. To change the speed, press the + or – key on the front of the device – you can do this while the massager is in operation. I love it! The IRIS delivers a proper massage, and that is what sets it apart from other devices. You can see and feel your skin being gently manipulated as you use it, without any pinching or creasing (unlike some devices and manual methods). I prefer the firmness of the Pure mode with its vibrating sensation to Spa but that’s personal preference. I have been doing 10 minutes of manual face yoga for years. I finger massage 10 different points on my face for one minute each. Three of those points are around the eye area and, if I’m being honest, I find it boring to do! But it’s very effective at keeping muscles toned, and so it’s become a nightly ritual. The IRIS has speeded up my face yoga sessions, yay! That’s because I can treat each eye in one go rather than split it into three sections. I should probably say speeded up ‘in theory’, as I’m enjoying using the IRIS so much that most days I treat for longer than the one minute! I can also see a noticeable eye lift after treatment. However, I don’t think the IRIS is for everyone. I got my mum to try it and she didn’t like the pulsing sensation. She does have sensitive eyes, unlike me, so this might be something to consider. For me, though, it was love at first sight and a month later we’re still dating– twice daily (I’m using it morning and night). At £99 it might not sound cheap but that price is competitive against other devices such as the (now discontinued I think) Clarisonic Opal - I paid £160 for mine! The Foreo IRIS comes in three colours: petal pink (pictured), mint and magenta and you can buy it here. 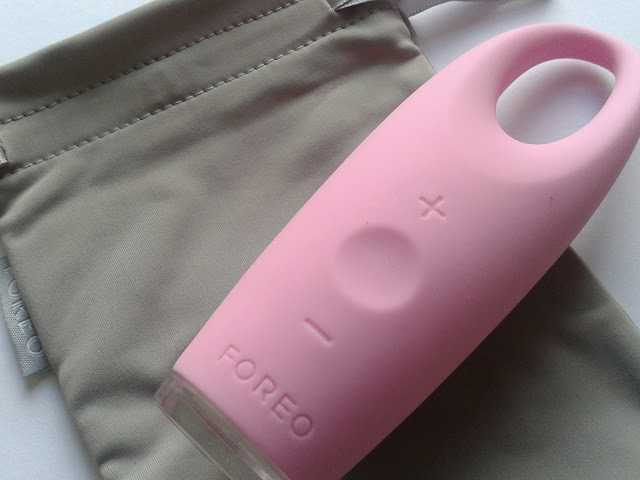 More on Foreo here. Wow this sounds amazing, I have sensitive eyes but I'd persevere with this for the results! Ah... I was hoping that I could use, dear Tracey, but when you said that your mum didn't like and that's because she has sensitive eyes,then I knew it wouldn't be for me :( Such a pity! But I did like the concept! Being fast today because I am preparing the suitcase. But wanted to see what you were up to :) And to wish you a great weekend! Hugs and kisses! 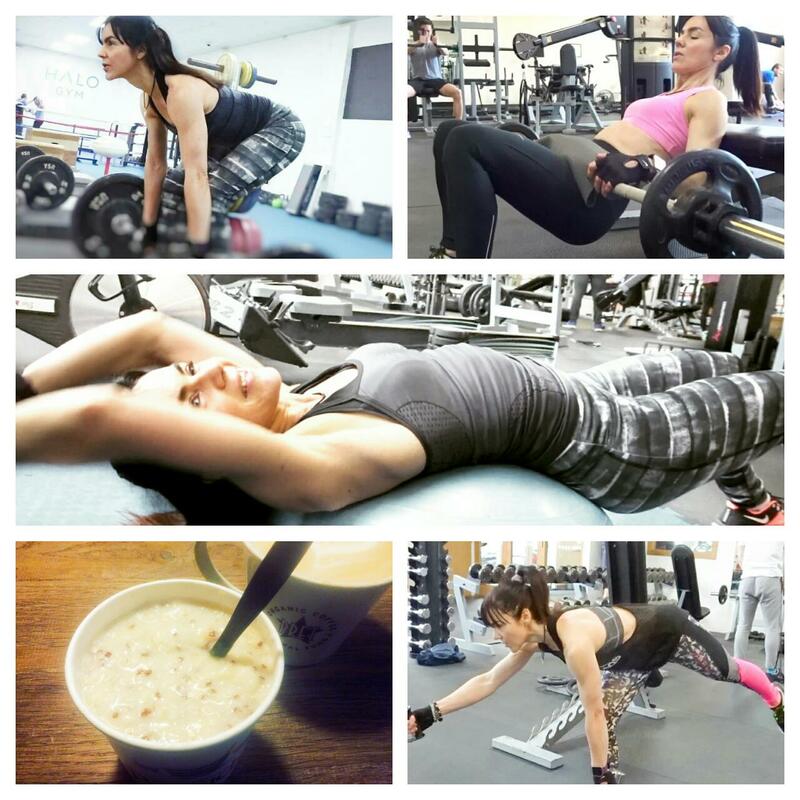 You're one of the first blogger to review Iris. Do you have Luna? How does the anti aging massage of the Luna compare to Iris? Thank you very much! I'm considering purchasing Iris for Xmas. Did you notice an improvement on the fine lines? Would love to hear your thoughts on it now after months of use? Thank you so much! After a few months, what would you say about your fine lines? thanks and that's a great review !